Note: The Tabata interval is 20 seconds of work followed by 10 seconds of rest for 8 intervals. Your “score” for today’s “Tabata This” will be the total number of repetitions achieved in all 8 rounds of each station (Ie. Every Repetition Counts.) Can anyone achieve 300 or more total repetitions? Athletes may choose their “start station” but must honor the prescribed rotation. This is an awesome workout! Are you ready for the challenge of a lifetime? The next Musha Shugya “Warrior Quest” is scheduled for Saturday, August 15, 2015, from 6:00 AM to approximately 4:00 PM. All levels are encouraged to participate. 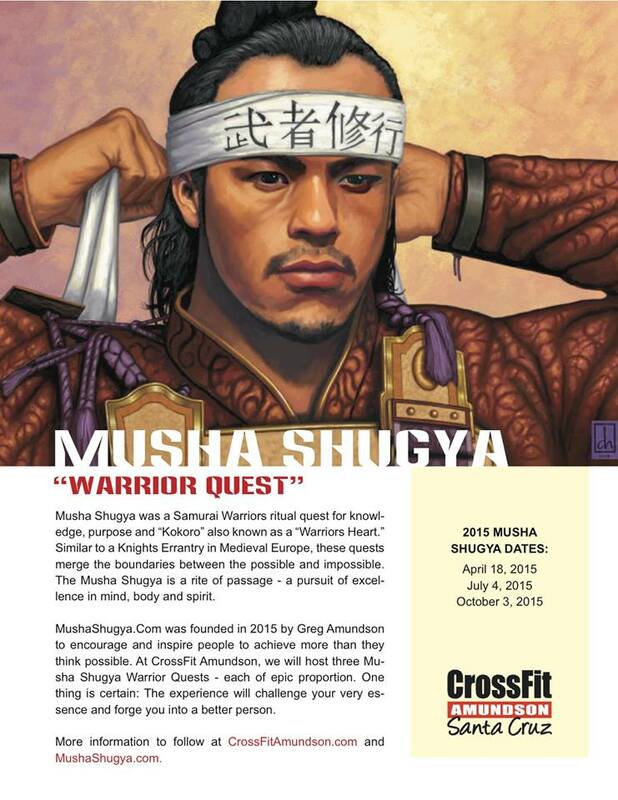 The Musha Shugya is a combination of physical evolutions, warrior yoga, lectures, and team building exercises. If you have questions on the value of the experience, just ask Musha Shugya graduates Aaron, Eric, Tyler, Beto, Britain, Melany, Andy and Roberto.